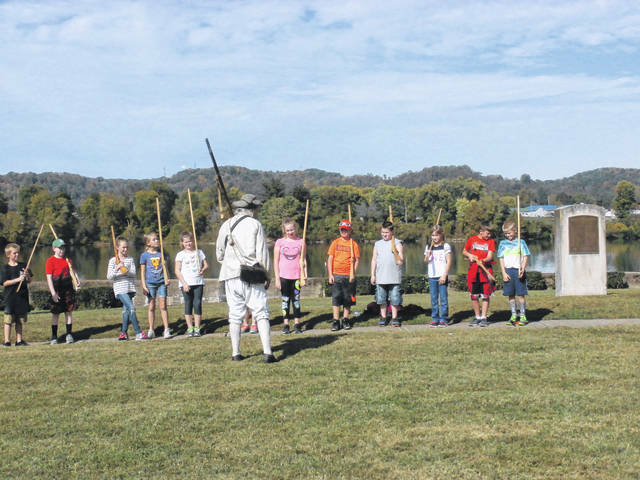 Local students from last year’s Battle Days festival learning about musketry. The Battle Days Parade is this Saturday on Main Street in downtown Point Pleasant. 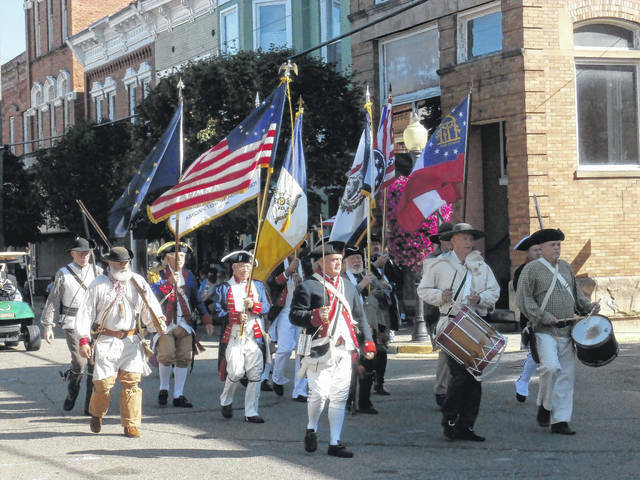 POINT PLEASANT — This Friday, the Battle Days festival will make its return, continuing into Saturday and Sunday. Battle Days will celebrate the 243rd anniversary of the Battle of Point Pleasant which occurred on Oct. 10, 1774. Events will take place at Tu-Endie-Wei State Park. At 6 p.m. there will be a Colonial Governor’s Reception at Sacred Heart Catholic Church for Sons of the American Revolution members only. Tickets are required. The evening will end with the Colonial Ball at Sacred Heart Catholic Church in the social hall from 8-10 p.m which is free for the public and open to anyone ages 13 and up. Colonial dress is encouraged but not required. Ed Cromley, Battle Days committee member and a festival organizer, said those who attend the ball will be introduced to 18th century styled dances. He shared one dance of the evening is called “The Virginia Reel.” Cromley explained colonial dances are akin to square dances. He said in some of the dances individuals stay with their partner during the dance, in other dances, partners are traded off throughout. Cromley explained when some of these trade off dances were done, they were a way for single individuals to couple up with one another off the dance floor. He commented the 18th century was a social era. Cromley said instructions will be given prior to the each dance and there will be a caller during the dance, giving instructions throughout. For this year, the ball will have a new caller and a new band from Columbus, Ohio he added. As all of the events during the festival, Cromley said the colonial ball is an important heritage experience and a staple of the celebration. He explained during this event, festival goers will be able to participate, rather than just observe. Also, this type of event only happens once a year and is a unique night out. He shared people who he has invited to attend the ball throughout the years have enjoyed themselves. Cromley shared he hopes everyone can attend and he would like to see more people in the community be in attendance. Members of the Daughters/Sons of the American Revolution will be in attendance and dressed in colonial wear, but individuals are welcome to attend in their contemporary clothing and enjoy the evening.